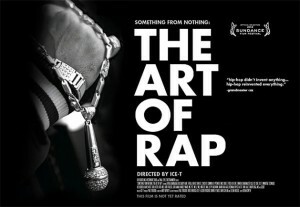 Among the good news of this week a trailer, the one of documentary due June 15, directed by Ice-T. I mean, the guy has a lot to do to be forgiven for all those cheap tv shows. So coming back to what he knows best, Rap Music, Ice-T decided to give his uplifting perception of style which started in the street is today dominant in the global culture as well as in the music industry.Featuring and incredible cast that includes Afrika Bambaataa, Big Daddy Kane, B-Real, Bun B, Chino XL, Common, DJ Premier, DMC, Doug E. Fresh, Dr. Dre, Eminem, Grandmaster Caz, Ice Cube, Ice-T, Immortal Technique, Joe Budden, Kanye West, Kool Keith, KRS-One, Lord Finesse, Lord Jamar, Marley Marl, MC Lyte, Melle Mel, Nas, Puerto Rico, Q-Tip, Raekwon, Rakim, and Ras Kass the movie we hope so hard, is going to be as good as the trailer. Press play !